As a Figurative Realist Painter, Jason Aponte is extremely interested in the effect of contemporary life on the psychology of the individual. The canvas allows him to present to the viewer elements that of the subject’s psychology, such as color, form, and light, ultimately leading to a portrait or scene that presents his take on the minutia of contemporary life. The natural situations we experience everyday often contain beautiful, unseen elements that are quite telling about the facets of contemporary life that shape our conception of ourselves as individuals, which he attempts to capture with his work. 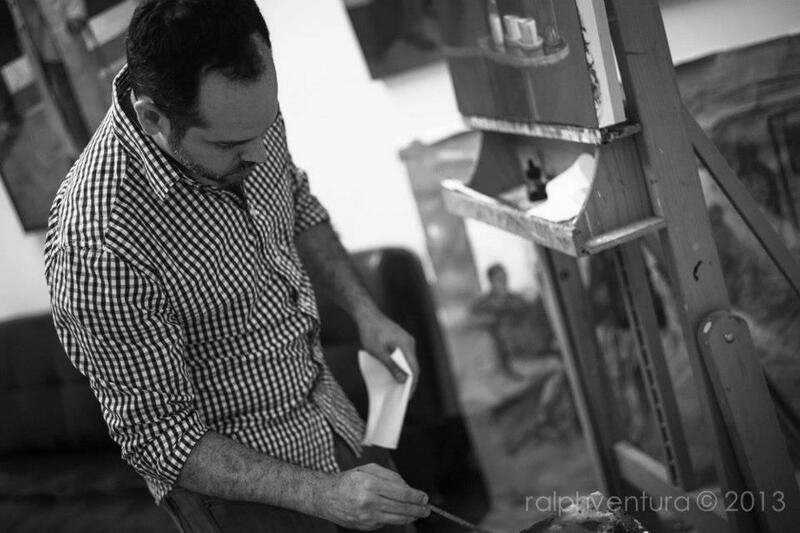 As a classically trained artist, Aponte works toward achieving a realistic representation of his subject. Although there are some abstract elements in his work, they are present to enhance the emotions he experiences toward his subjects. Born in Homestead, FL, he was not initially exposed to a great deal of art. Aponte's inspirations initially came from film and comics. This led him to obtain a classical education at Ringling School of art and Design in Sarasota, FL where he received a Bachelors Degree in Illustration, after which he has shown his work throughout the country. Aponte's studio is located in The Bakehouse Art Complex located in a growing artist community in Wynwood which is located in Miami.